MemberSites provided this Chamber of Commerce a way to provide useful marketing tools and enhanced individual pages for their membership, while increasing membership and driving up web traffic. 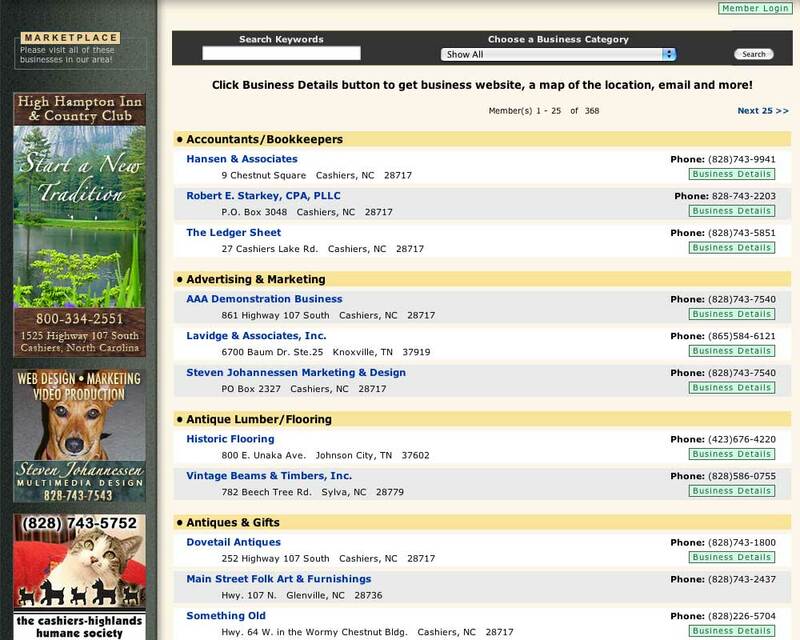 The addition of the Business Locator has enabled members to drive more traffic to their own sites and businesses! Chamber provided the member business and contact information. 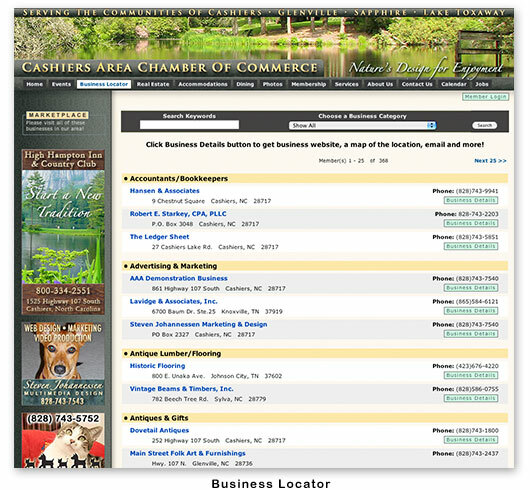 Membership List displays businesses sorted by Business Type. "Business Details" button links to each MemberSite. This can be switched on or off by the Member. This is useful when editing your MemberSite. Get your business found! Visitors can search the site by Business Name, Business Type, and Member Defined Keywords. Website design was also requested by the client and was provided by MemberSites at additional cost. Click on the example screenshot below to get a full size view.